Star Wars Workbooks Summary: The Force is strong with this series! 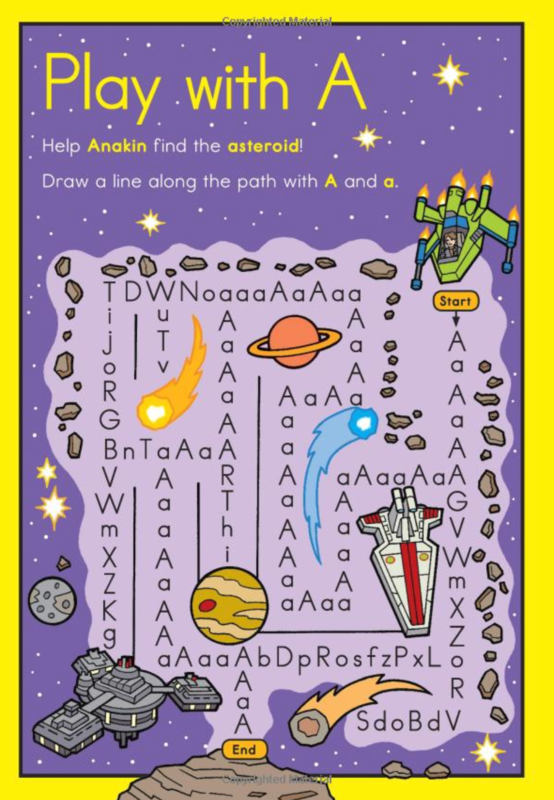 Introducing a line of workbooks that marries the iconic popularity of Star Wars with the unique mix of editorial quality, fun presentation, and rigorous educational standards that Workman applied to the BRAIN QUEST Workbooks. 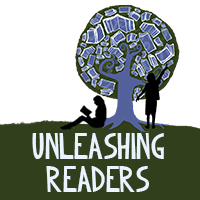 Twelve titles launch the series―three each for Pre-K through 2nd Grade―and dig deep into core subjects, including numbers, ABCs, phonics, and reading readiness for younger grades, and math, reading, and writing for the older ones. The material, which aligns with national Common Core State Standards, is designed to reinforce essential concepts and lessons taught in schools. 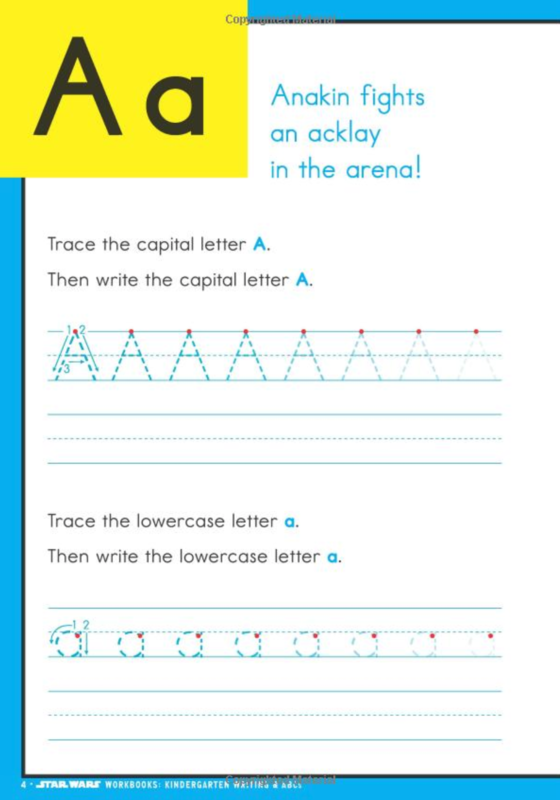 Any child, not just fans of Star Wars―but yes, those fans will be especially delighted (as will reluctant learners)―will love the “A” is for Anakin approach to phonics. Kids will practice learning numbers by counting and circling X-wing starfighters and clone troopers. Master place values by sorting groups of Wookiees. There are math problems―Yoda is holding 7 lightsabers. 5 of the lightsabers are blue. The rest are green. How many green lightsabers is he holding? And Language Arts―Circle the correct homophone in this sentence: Luke is a Jedi knight/night. 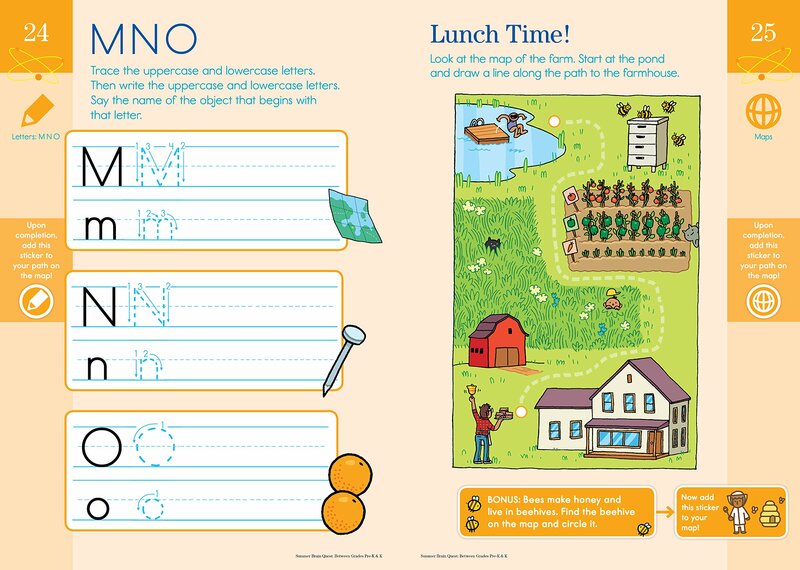 Summer Brain Quest Workbooks Summary (Pre-K to K Summary): It’s time to get ready for school! Now, the series that keeps K–6th graders sharp, active, and curious in between grades is expanding to meet popular demand: Introducing Summer Brain Quest: Between Grades Pre-K & K, covering the summer between Preschool and Kindergarten so 4- and 5-year-olds can get ready for school—and have fun doing it. 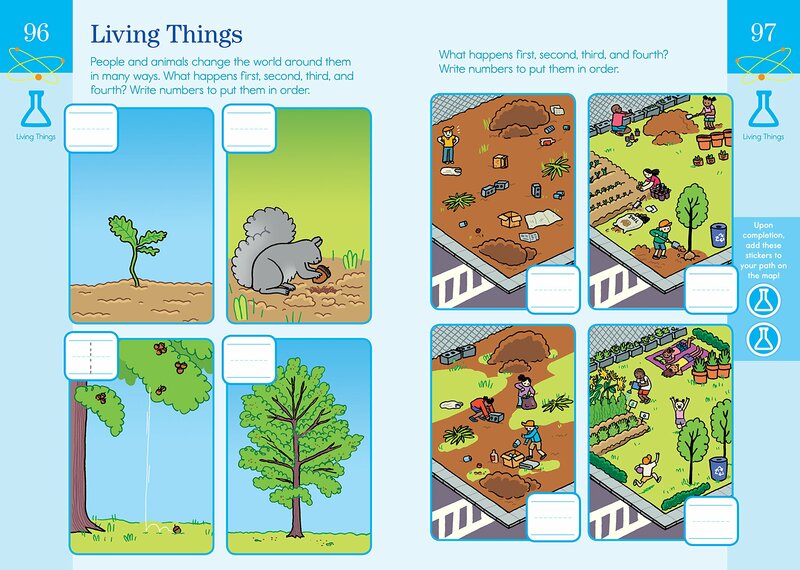 Part workbook, part game, part adventure, it’s the interactive book that combines educational activities with indoor and outdoor play—with entertaining and effective results. 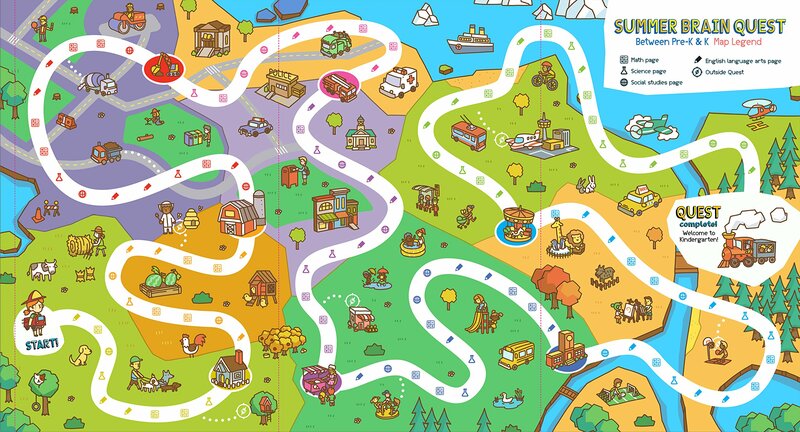 The pullout map guides kids on a learning quest; to cross the finish line, they fulfill the curriculum-based exercises and customize their path by pursuing the bonus challenges and outdoor activities that excite them most. How about extra counting or reading calendars? A hunt for three-dimensional shapes? Identifying landforms? Or finding words that rhyme? Along the way, they earn stickers for completing pages, tick off an adventure list, and get fresh air with outdoor learning challenges, like writing the alphabet with sidewalk chalk. 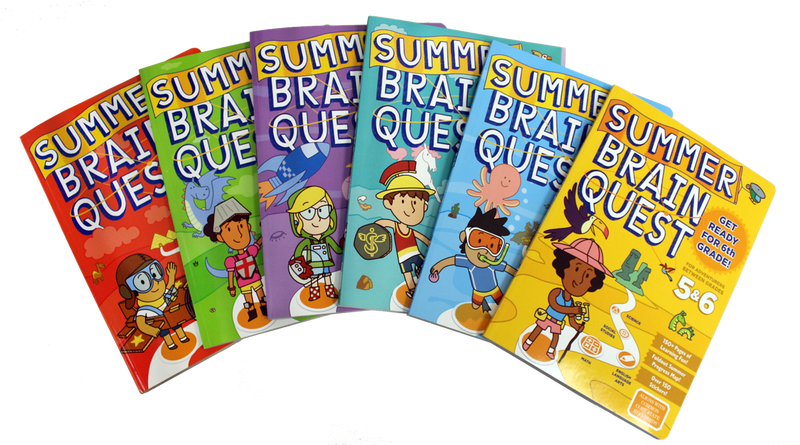 Teacher-approved, parent-trusted, and designed to appeal to kids’ natural love of learning and playful curiosity, Brain Questmakes it fun to be smart all summer long! Ricki’s Review: My son LOVES these books. They have made him so excited about reading, writing, and math. I am not a workbook kind of teacher, but these books defy all notions of worksheet and workbook teaching. The Summer Brain Quest books feature a map at the end. As kids finish each page, they earn stickers to go along the map. The books ask them about themselves in the “my world” pages. They make learning very fun. He particularly loves the Star Wars reading book. He enjoys matching the letters to words and circling answers. My son is an outdoors-y kind of kid. He doesn’t enjoy sitting at the table and practicing his reading. Therefore, we do these at night. After we read together, he picks one of these workbooks to do together. We sit on the floor, and he loves it. It extends his awake time, and he loves thinking he is doing something fun to stay up later than his brother. We found the workbooks in the bookstore yesterday, and he was thrilled to see his books on the shelves. We ended up buying other books in the Brain Quest series because he enjoyed them so much. He chose this rather than a new toy! I’ll be purchasing these books for my younger son when he gets a bit older. They are absolutely wonderful and make learning fun! 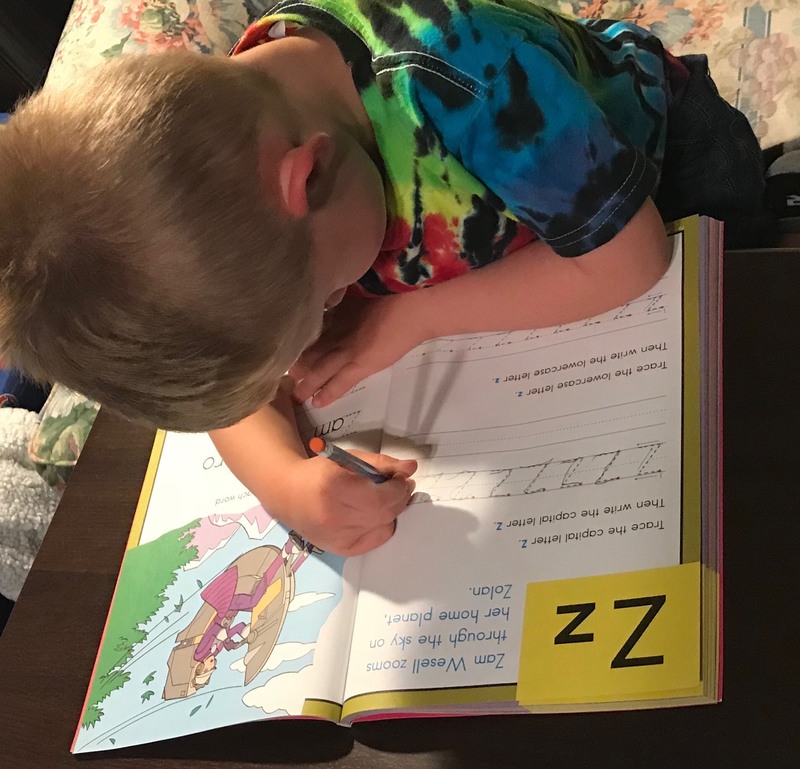 Kellee’s Review: Like Ricki, I am skeptical whenever I see a workbook, but as soon as these arrived, my son became a bit obsessed with “doing his Star Wars letters,” and I just cannot argue with that as Trent is not a sit-and-do-something type of kid. 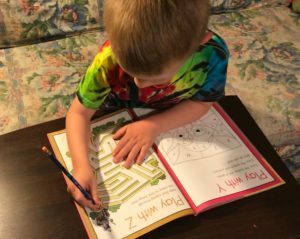 But since the workbook is a mix of writing and activities, it doesn’t seem like work to him but instead is seen as a game. Because of this, I view them more as an activity book than just a workbook. 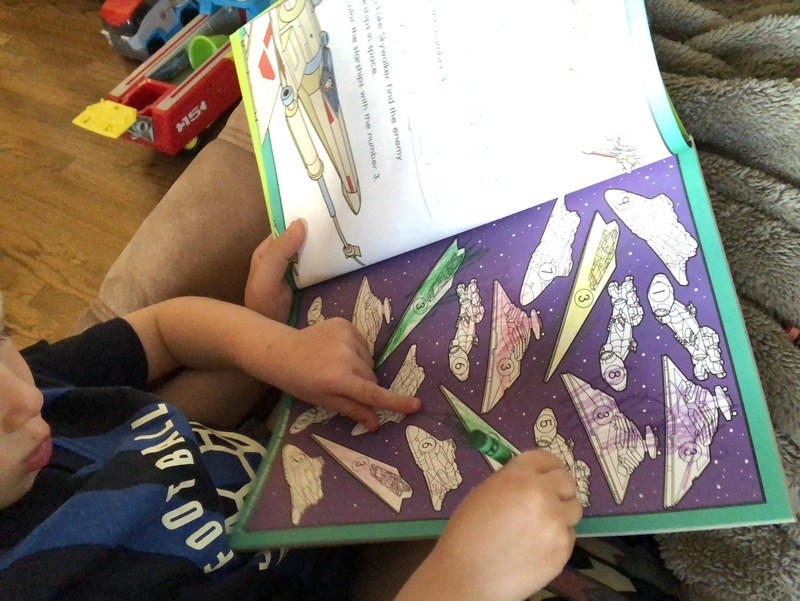 We’ve currently been focusing primarily on the Star Wars activity book because I don’t want to overwhelm him, and it also leaves the Brain Quest for us to do when he is done. (Though, I do LOVE Brain Quest cards. My sister, Natalie, gives them to Trent for his birthday, and we do his “cards” in the car.) Lastly, I want to give a shout out to these helping parents who want to include educational activities at home. I know that even I, as a teacher mom, struggle with figuring out what to do to help my child learn to read and keep learning, and these activity books are perfect!